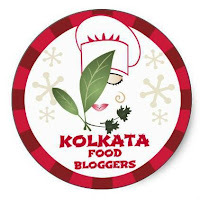 Did I tell you all that I am a part of an amazing Group, "Kolkata Food Bloggers" where food bloggers from Kolkata came together and sharing their culinary experiences with each other and having fun together doing activities what we bloggers love to do, like visiting new restaurants and writing reviews on them etc. We are group of about 15 bloggers and each week I'm going to introduce you to a new blogger from this group, I'm sure you would love to meet your fellow bloggers. Visit our facebook page where our members share their recipes twice a day and like us to stay updated. mastermind behind this amazing group, Kamalika Chakraborty of Silence Sings. Many of you must be knowing her blog. As a person, she is very very creative, intelligent, friendly and helpful person, who will connect with you instantly. I have known her for 4 years now, that time she was in US and I was in Singapore. We both were new in blogging world and used to visit each others blog and connected with each other very easily. She is one of few bloggers with whom without meeting for a single time, I felt bonded with friendship. Now we both are living in our own city, Kolkata. As she formed this group and brought us together, I get to meet her and her best quality is she is very sweet and genuine person. Her talent has no boundary..beside being a passionate food blogger, she runs two home-based business of Jewellery making and home-made baking. And she is equally successful on those places too. I am totally inspired by her talent and wish I could be a bit like her. Her another passion is photography and if you visit her blog, you will be hooked to her eye-catching photographs of her creations which is very innovative, quick and easy. So friends, visit her blog and amaze yourself. She even tries to improve our photography quality with her quality tips, hope I have learned a little bit from you, Kamalika. Please give your honest feedback. 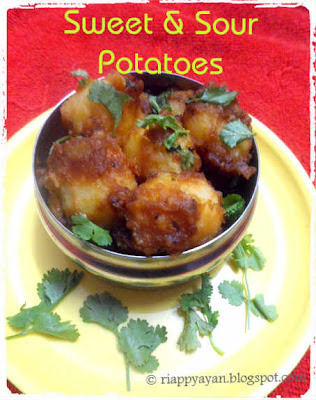 I visit her blog regularly and tried few of her recipes, some I have blogged before and some I thought I'll blog in this post. I have tried her Chocolate Yogurt recipe without any changes, just doubled the amount, as I wanted to make it in larger quantity. No doubt it came out perfect. 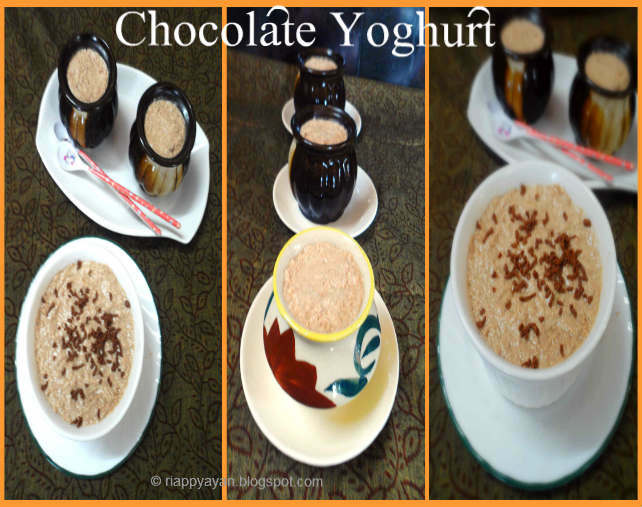 It's a sweet yogurt flavoured with chocolate, the taste is finger-licking good, my kids and me loved it and devouring it whenever possible. I won't give you the recipe, as I havn't made any changes. My pics are nowhere near to her lively pics, but I have tried my best. 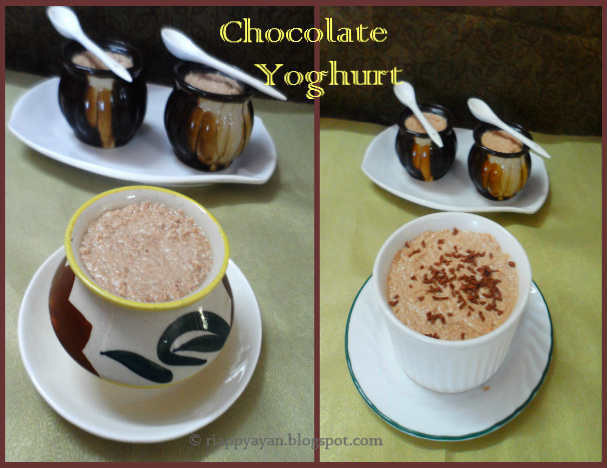 So visit her page for Chocolate Yogurt recipe. Visit Kolkata Food bloggers' Facebook page, here. Also visit her facebook page where she shares her other talents. Hope to meet you wonderful bloggers during my Kolkata visit. Also the chocolate yogurt looks so delicious. Choolate yogurt looks awesome and deliious. Beautiful presentation. Thanks for linking my event.